Mexican cuisine with Korean in between. Mon – Sun 9 a.m. – 2 p.m. This is our signature dish. It’s special and delicious. A new generation of tacos that people never tasted before. It’s fresh marinated Korean short ribs right off the grill that will be perfectly seasoned. Then we make that into bite size pieces and mix it up with fresh vegetables and we add our special secret house sauce. For vegetarians, we offer tofu and shrimp tacos top with our secret sauce. There is no explanation for this, it’s just plain delicious. Here are the ingredients. And we add some vegetables wrapped with warm flour tortilla. Let’s just say it’s a fat version of our tacos. 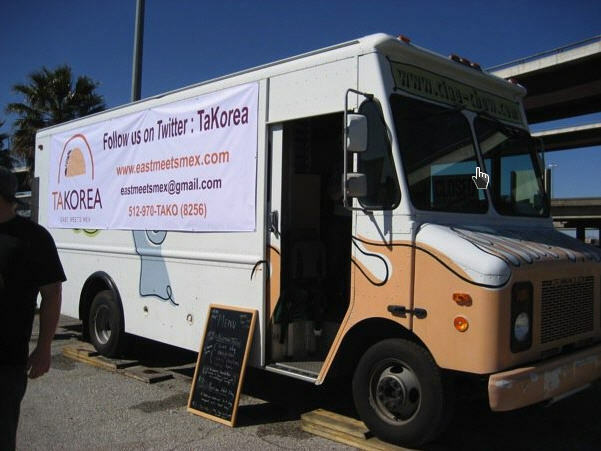 Inspired by a popular trend in Los Angeles, TaKorea is on a mission to bring the wonderful flavors of Korean barbeque in a taco to the great city of Austin, Texas! East truly meets Mex, where marinated meats are combined with cabbage and our special sauces in a corn tortilla to deliver a fiesta in your mouth! 1. Beef Taco – marinated skirt steak with cabbage, onions, cilantro, carrots, garlic, and our spicy chili sauce. (All of our tacos include marinated meats(tofu), cabbage, onions, cilantro, carrots, garlic, and our spicy chili sauce). 5. Korean Hot Dog – a Hebrew national hot dog served with marinated beef on top, pickles, cabbage, onions, cilantro, carrots, and garlic. 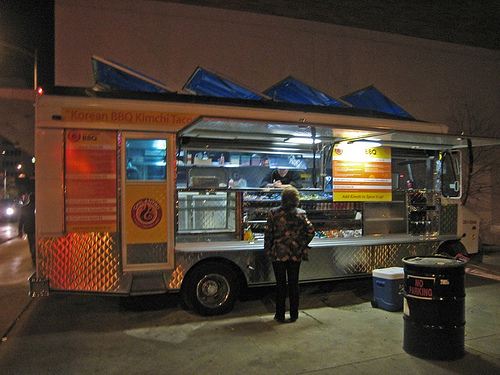 Roving truck, follow @chilantrobbq on Twitter to determine where they are. 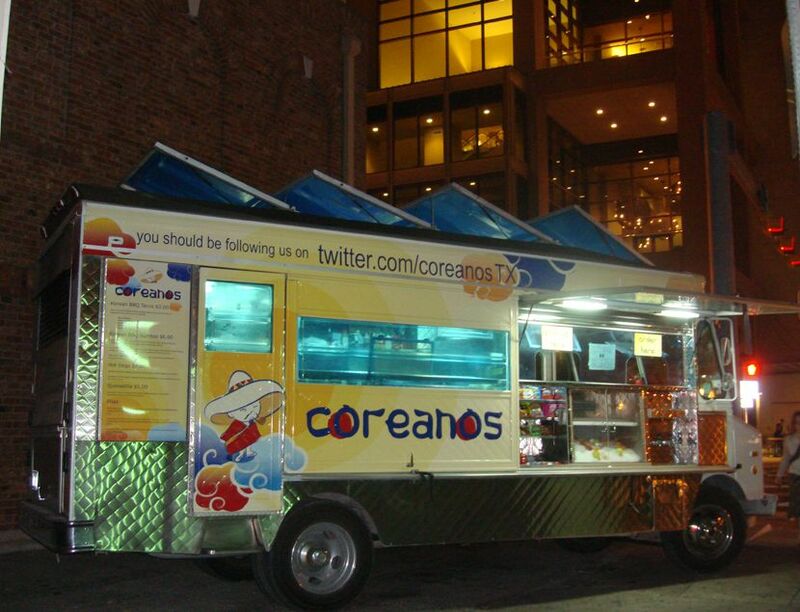 Chi’Lantro reinvents traditional Korean and Mexican cuisine, packing its clean, bold flavors in a traveling truck! Our hybrid tacos, burritos, and bowls meld Korean tastes and tradition with Texas’ rich Hispanic culture at a recession-proof price.